Car Lovers Dream! 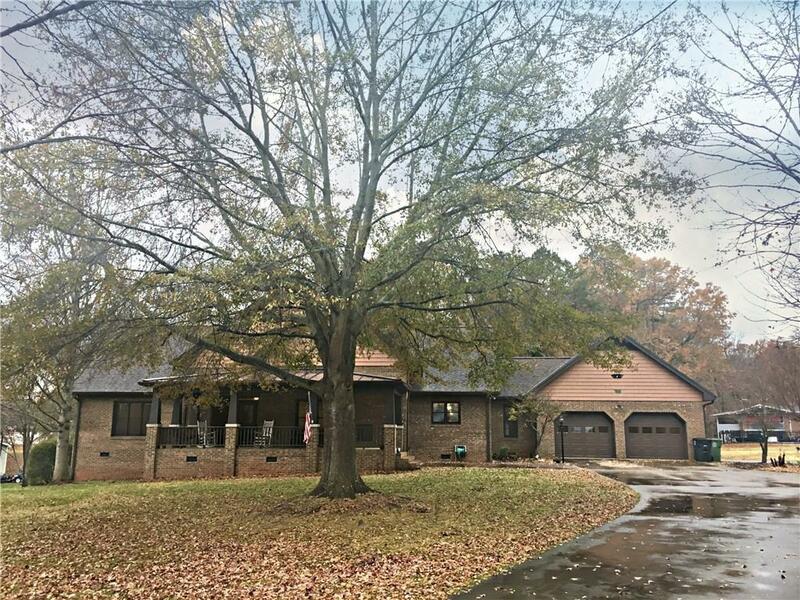 Beautiful custom built home in the charming town of Boiling Springs. From the large covered front porch, you're welcomed into the open living room with beautiful wood floors, wood molding & a pellet stove fireplace. The master suite is AMAZING—with a cedar closet and separate his & her baths (each includes closet, sink, shower, toilet, & linen closet) 2 guest rooms connected by bathroom. One has access to shelter room through closet. Other has built in bookcases, cabinets & Murphy bed, perfect for office/hobby room, but convenient for guests. Kitchen includes a large dining area, induction cooktop stove & double oven, abundance of counters & cabinets & pantry. Off kitchen is a storage rm w/space for addl fridge/freezer, shelving & half bath. Attached 26X26 garage & addl 29X31 garage with workshop upstairs. Crawl space is partially floored for more storage. 2 lots located at the end of cul-de-sac for privacy. Mins to Gardner Webb, 15 mins to Shelby, 20 mins to Gaffney.